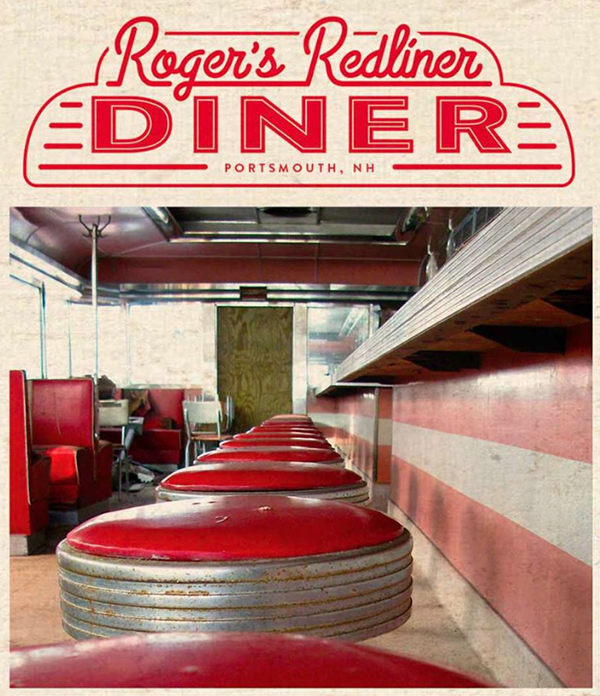 Roger’s Redliner Diner has been reborn complete with re-chromed stools. Sweetbreads are occasionally the offal of the day. 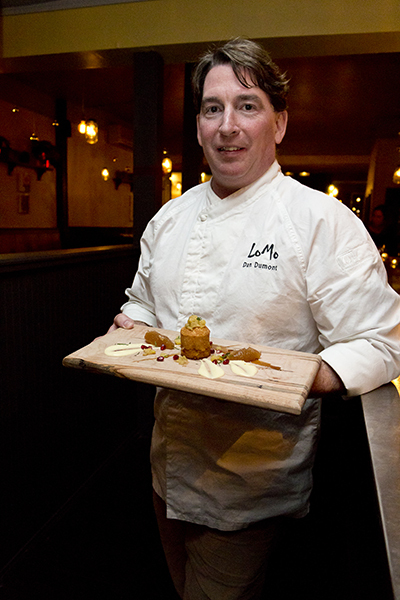 Master Chef Dan Dumont of LoMo displays a creative take on dessert. *Editor's Note: Unfortunately, we learned that LoMo closed just after publication of this story. How hard can it be in the deep of winter to get three square meals, each with a healthy dose of local ingredients? Pretty hard, it turns out, unless you reconsider what local actually means. 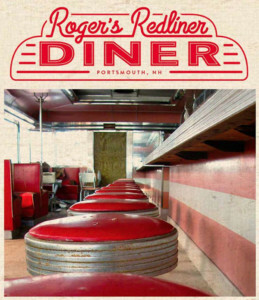 First, Roger's Redliner Diner in Portsmouth wasn't completed when I visited, but the promise of a beautifully restored 1950s classic diner is real now. What a perfect place to have breakfast! 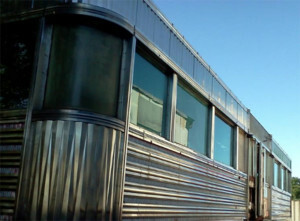 The former Monarch Diner had sat in Dover from 1950 to 1968 and was moved to Berwick, Maine, and finally to a salvage yard where it remained idle for 40 years. Roger Elkus, his son Ollie and sidekick Daryl McGann set the wheels in motion. They had it loaded and trucked to Portsmouth to its present location at Southgate Plaza on Rte. 1. Luckily, it was a Jerry O'Mahony brand, "built to last 30 years" as an old promotional piece says. They were sold as turn-key investments — "With an average receipt of 20 cents … you can earn $5,000 to $10,000 a year." Well, someone else's dream diner is now reborn with an eye to authenticity, local vendors and a taste of the past. Can't imagine that diner food was actually good in the ’50s, but that was before mass packaging and Sysco. There wasn't a lot of pretense, but the food was cooked before your eyes and had a homemade appeal. Hopefully, the owner was a good cook. The car's latest incarnation as Roger's Redliner Diner comes with a good food pedigree. Elkus is a baker and started Me & Ollie's bakery 15 years ago after owning a string of bakeries in Ohio. 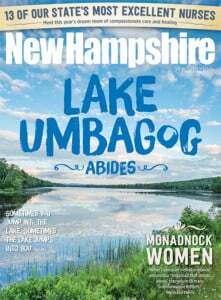 His flavorful breads won Best of NH readers' poll this past year and add fresh-baked appeal to the diner menu. Hamburgers are offered in buns baked just down the street at the Ollie's location in Philbrick's Market on Lafayette Road. The French toast is made with Ollie's rich Cinnamon Swirl bread dipped in Nellie's Nest eggs. Real maple syrup? You bet! Open daily, 11:30 a.m. to 12:35 a.m.
Open Tuesday through Sunda 5 p.m. to 10 p.m.
Roger and Daryl have had to make many decisions during the renovation, from what to call shakes (milkshakes or frappes) to spending the extra money to offer authentic tabletop juke boxes that are digital inside to the perfect server uniform. They decided not to have the servers look like characters from "Back to the Future." They also decided to stick with purveyors they know and trust — Victor Allen coffee, Oakhurst milk and Nellie's Nest eggs by Pete and Gerry's. As Daryl says, "For menu choices we are respecting the diner food tradition." Expect a great meatloaf, Eggs Benedict and, of course, Me & Ollie's granola. I just bet that former waitress from the old Monarch Diner in Dover, who turned up one day during the remodel, will be wowed once she sits in the reupholstered chrome stools and places her coffee mug on the original Formica countertop and gazes once again at the gleaming stainless steel backsplash. Just hope she likes the coffee and appreciates the rekindling of love and concern in the food. On to lunch in downtown Portsmouth. My companion Patty Collopy and I found a skylight-lit seat at the Portsmouth Brewery. We perused the menu while brewers peered in tanks and turned knobs on the other side of a glass wall. Looking for local sources we chose a fresh-caught fried "white fish" sandwich set on a house-baked bun and a ploughman's platter with local Sandwich Creamery cheeses and house-made charcuterie. A beer sampler was the perfect beverage to share. 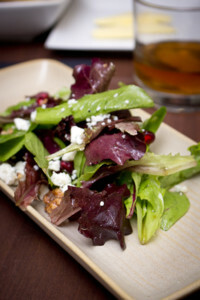 In winter it is tough to find local produce on the menu though summer does bring a bounty, especially when specials are rendered with "what's available" produce. The chef does use NH Mushroom Company mushroom pieces year-round to make a flavorful gravy for the meatloaf. The umami flavor of mushrooms adds a magical touch. The beef is naturally raised, according to Brennen Rumble, general manager. "But we can't find a local supplier for the amount of beef we go through daily." They do trim the meat, and make all sauces and even ketchup from scratch. Turns out most of the localness is from the beer. Eighty percent of the menu is made with Smuttynose beers and is so designated by a small beer mug icon next to the listing. Find Old Brown Dog ale in the BBQ sauce and stout in the ice cream float. All fried batters are based with beer, too. All things beer are growing at Smuttynose, with a new brew facility at Towle Farm in Hampton opening in March. Following in June will be the Smuttynose Restaurant, which will be about a quarter of the size of the downtown location. An onsite brewer's garden will be a source for flavoring agents for the beers, many of which are now sourced from the gardens at Strawbery Banke. After drinking in the local flavor we moved on. 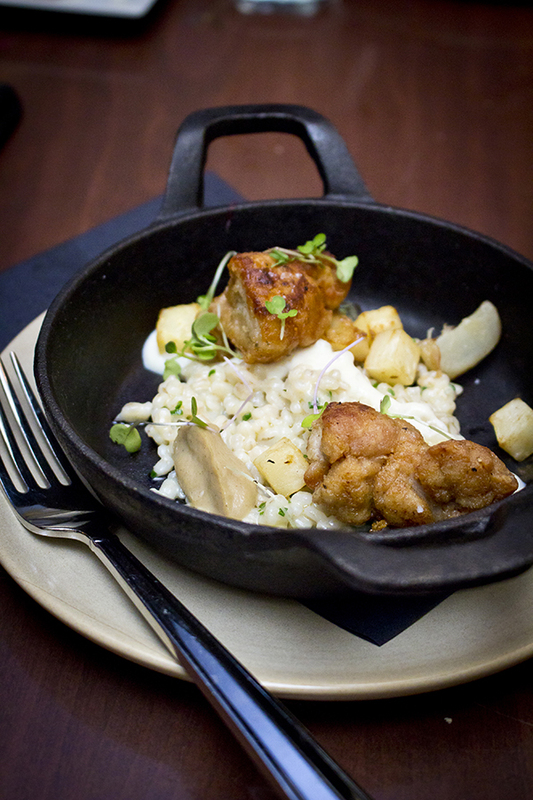 Fine dining options in Portsmouth are rife with local sourcing intentions. Black Trumpet, Surf Seafood and Moxie are all well known for their dedicated chefs/owners attuned to the public's whims and local market availability. Chef Evan Mallet of Black Trumpet Bistro on Ceres Street meets with farmers in early spring to recommend crops and connect other chefs with growers. 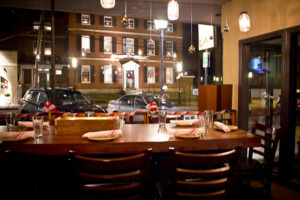 But what would the newest local fanboy restaurant bring to the table in the depth of winter? 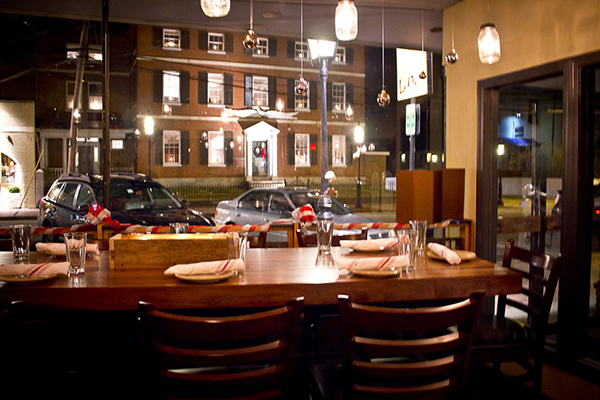 Patty and I made room for dinner and headed to LoMo, located in the former Green Monkey space at 86 Pleasant St. Master Chef Dan Dumont, formerly of Wentworth by the Sea and Marriott in general, had tired of travel and corporate regimens and came back home to open his own bistro. Intentions and expectations are very high here because of the name. 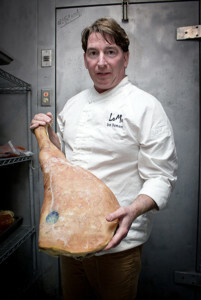 LoMo can stand for Local Movement, but it is also a type of Spanish cured meat. The latter is the heart of Dumont's new enterprise. Sausages are seen curing in the cooler in the dining room and the kitchen's cold storage is home for more of Dumont's cured and smoked meats. The ghost of summer could be seen in the preserved tomatoes put up in glass jars as a kind of ode to bounty as décor. But this is winter so we ordered a salad of local greens, a platter of charcuterie and the offal of the moment that turned out to be the best sweetbreads I ever had. The small portion I took home was enjoyed by a friend who feigned concern when I explained what the tender morsels were. Or maybe it was real concern, but really enjoyed nonetheless. Not sure if any of that dish was strictly local, but using tail-to-snout cooking and treating organ meats like royalty is a part of a greater issue addressing sustainability. As Charlie Burke of the NH Farm to Restaurant Connection says, "Sure, local farms can't provide 50 tenderloins a night, but if the chefs use the whole animal, local beef is a real option." The charcuterie list at LoMo is longer than the entrée options and they are all made in-house. Presentations at LoMo are of the highest order. Our dessert was a reinterpretation of a pineapple upside down cake, looking like a spillage from an exotic jewelry case with precious nuggets scattered about. You'll find that food that looks this good tastes good too. Future plans for Dumont include expanding the restaurant by building out into the empty space next door and continuing his alliance with Applecrest Farm Orchards in Hampton. The farm is adding a function facility in an old barn and Dumont is setting up a seasonal restaurant on-site. Talk about local, the produce and apples could be delivered by tractor. Local sourcing does help keep this state beautiful and vital. Whether items of commerce are from farms, local kitchens or built from relative scratch, the closer the ties, the tighter the circle. We all benefit from a good familiar hug. Seek it out.